Fotographical Friday: Madly reading MAD. Fotographical Friday: A cartoonist’s ornaments. Left to right: now-defunct International Museum of Cartoon Art, Wrong Trousers, Alfred E. Neuman, Santa by Thomas Nast…I think. Me and the late, great Ray Alma. Me and the talent-laden Rich Powell. Me and the legendary Angelo Torres. Shocking image, ain’t it. No more shocking than that MAD Magazine is moving from NYC – its home since its inception 65 years ago – to Burbank. On Monday night editors, staff and contributors, both past and present, gathered at send-off party…and I got as many of them to sign this infamous image as I could. As a kid reading MAD I dreamt of being one of “the usual gang of idiots.” Many thanks to my first editor, Jon Bresman, for the encouragement and guidance to make that happen, and to my second editor, Ryan Flanders, for keeping that dream alive and becoming a dear friend in the process. Fotographical Friday: San Diego Comic Con 2009. 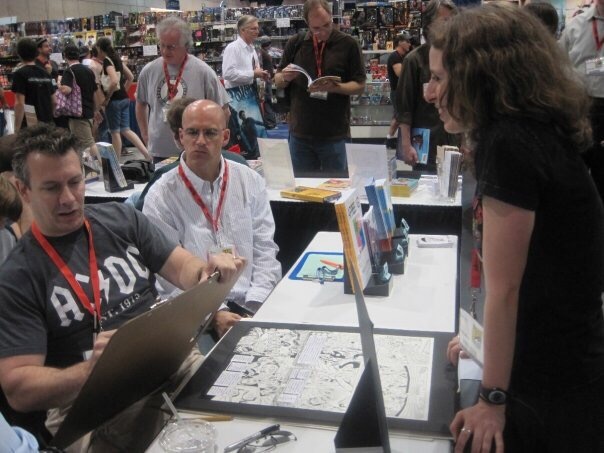 Tom Richmond (MAD) draws while I look on in goof-faced awe. Newest Shishka Bob in the newest issue of MAD. A few years ago the National Cartoonists Society had its annual shindig in Washington DC. Then NCS president and MAD artist Tom Richmond (not dead) was cajoled by his wife, “the lovely Anna”*, to do presidential portraits for table centerpieces. 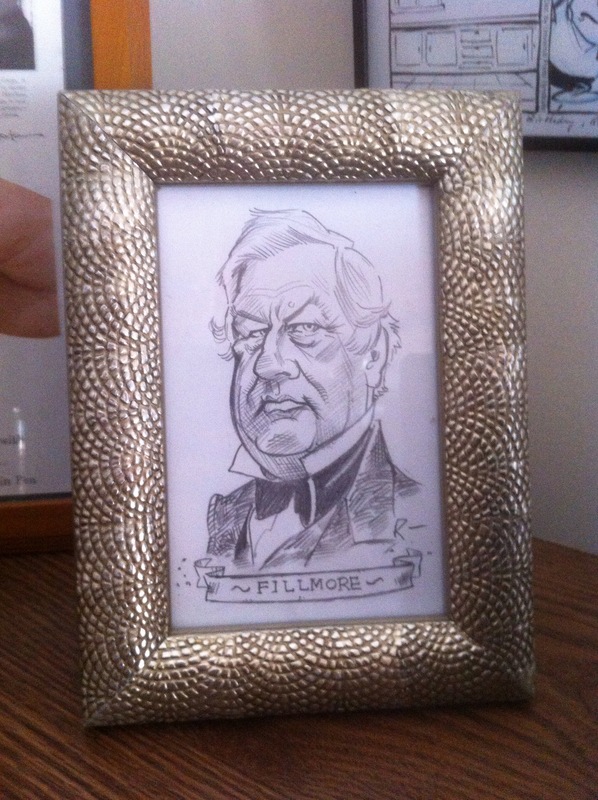 (It wasn’t as if Tom didn’t already have enough to do but, as has been stated, Anna is “lovely.”) I was able to snag this drawing of everyone’s fav 13th prez, Millard Fillmore (actually dead), but I did ask first. *as Tom refers to his wife.